Whether it’s a coat or jacket or a stunning vest, you just can’t get enough of it even when you try harder. So let’s make you right at comfort right up front. 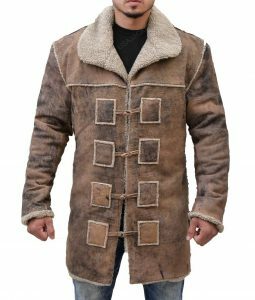 So, if you are looking for designs that matter in class and impressive versatilities with a variety of clothes, then here’s USA Jacket to blow you away with all the fabulous fabrications for your favorite Hell on Wheels. Not only we provide you garments with the exact stitch trails but also offer you convenient consignment policies including total charges. Now dress up to be the one of those men that built the first ever transcontinental railway tracks for the old uninhabited places of the United States. Anson Mount starring as Cullen Bohannon is the main victim in this vintage Western production who’s in plight to find the Union army men that killed his family. A journey for revenge from the barren lands to make the soul fertile with family retribution. Choose styles of the West cowboys and bartenders standing outside their shops thinking of their future projections. 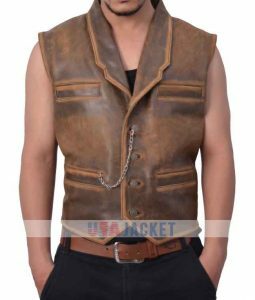 At USA Jacket, choose from traditional Western outfits and show your real heritage to the public at different cosplay events. 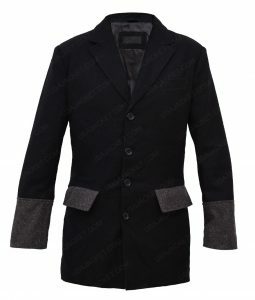 Choose first-class fabrications from the main cast role to his trustees and friends – Cullen Bohannon Distress Coat, Cullen Bohannon Coat, Cullen Bohannon Vest, Dominique McElligott Brown Coat, Phil Burke Coat, and many others. The topnotch tailors at our ends are the best in their tasks, as they’ve created some of the perfect patched up blends using interior viscose linings with different types of fabrics. What we process at UJ, is the finest and most delicate of raw material. We alter and create details and other patterns with precise performance and in-built agility, so that whenever and wherever you go, you stand out in the limelight in fashion and overall attitude. Moreover, we expertise in cloth knowledge and the understanding of your territorial effects upon it, and for that we also guide you towards the selection of textiles that’ll be ideal for your residing areas. So get your next western outfit from this Hell on Wheels Shop today.